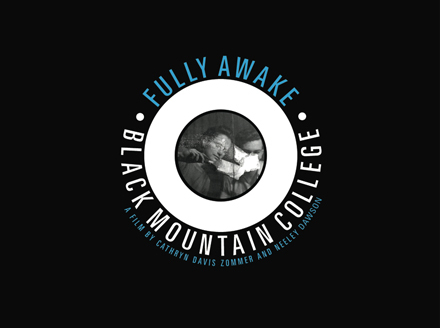 Based on Fully Awake (2007), DER filmmakers Cathryn Davis Zommer and Neeley Dawson are crafting an enhanced documentary film, enriching the viewer’s experience by offering a deeper view into the now legendary Black Mountain College (1933-1957). Much has changed since Fully Awake launched: freshly available archival source material including photography, primary audio interviews with key figures at the school, and dynamic new interviews, along with new technologies, compel a re-imagined film. We ask for your support, through tax-deductible donations, to help us create a more contemporary documentary film to premiere in Spring, 2014: FULLY AWAKE…further . Groundswell response to Fully Awake , the only feature documentary film about Black Mountain College, the influential educational experiment, led to its screening at the Museum of Modern Art (MoMA), Guggenheim Bilbao, North Carolina Museum of Art, and the National Gallery, as well as various film festivals, educational events and exhibitions worldwide. Through the Mary Duke Biddle Foundation, we were able to gift copies of Fully Awake to all public libraries in North Carolina. If our current fundraising goal is successful, we will be able to digitize over 100 hours of interviews with students, professors and scholars to donate to the North Carolina State Archives, giving future generations the ability to discover and explore these rich source materials. With your support, we will have the opportunity to share our deeper study of Black Mountain College with a new, wider audience. Our budget is $30,000 to re-edit the film, create compelling motion graphics, acquire new source photos and interviews, add a fresh, evocative score, professional audio and color correction, as well as digitizing our entire interview videos from both projects for public use at the NC State Archive. 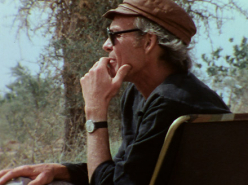 We hope you will become a part of funding FULLY AWAKE…further , and help us re-envision a film worthy of Black Mountain College and its legacy.